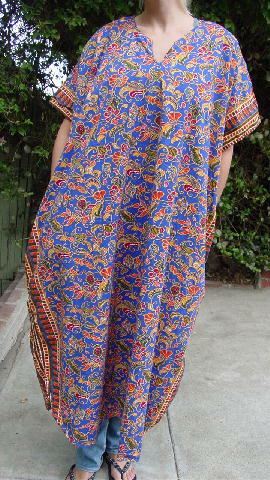 This 100% cotton caftan is by Naqui. 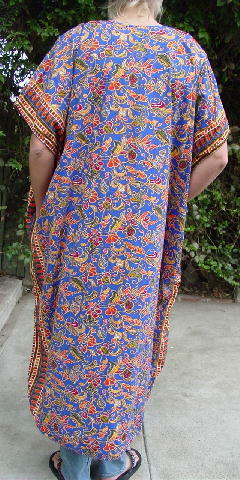 It has a jewel neckline with a 4" long center slit. There are 15 1/2" long bottom side seam slits with rounded edges. 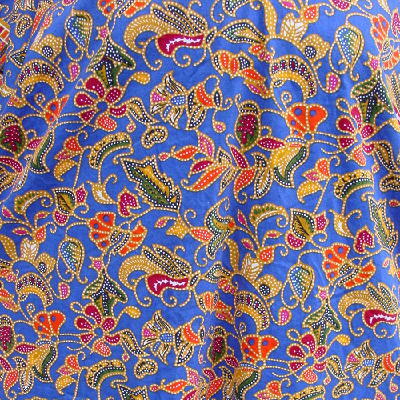 It has a dark blue background with a design pattern in white, red, orange, green, black, peach, and honey-mustard. It was only worn twice. neckline to end of sleeve 14 1/2"
shoulder to hem 51 1/2"